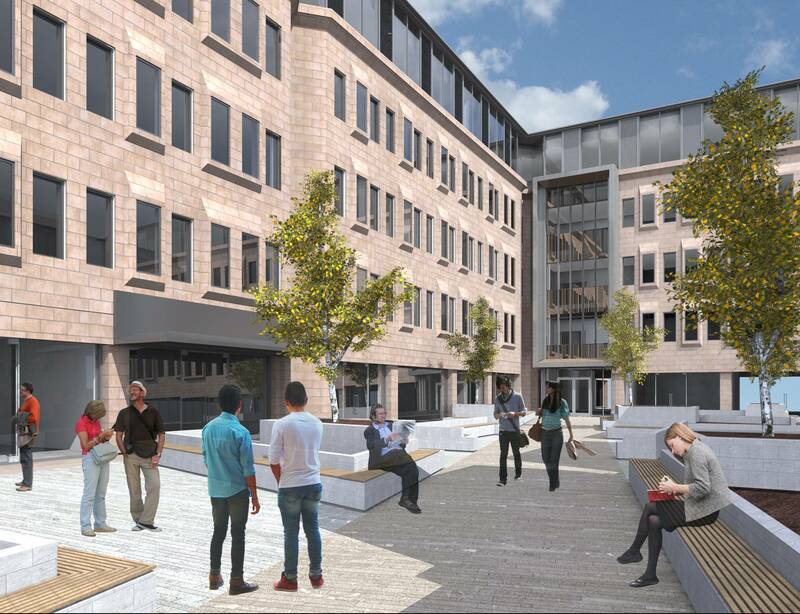 Exciting proposals to transform Northgate House into premium office and retail space at the heart of Halifax town centre have moved a step closer. As part of the wider transformation of Halifax, Calderdale Council is planning to renovate its vacant former office building to support the vibrancy of the town centre. On Wednesday 6 February 2019, the West Yorkshire Combined Authority Investment Committee granted £3 million from the Local Growth Fund towards the £10.65 million refurbishment cost. This is a key milestone, enabling the ambitious project to move forward. Subject to final approvals for the project, the state-of-the-art offices and shops are expected to be complete by spring 2020. There is already a good amount of interest in the site. The £3 million funding is through the Leeds City Region Local Enterprise Partnership (LEP) Growth Deal – a £1 billion package of Government investment delivered in partnership with the West Yorkshire Combined Authority to accelerate growth and create jobs across Leeds City Region. “Here is a prime example of how Growth Deal funding is enabling the LEP to accelerate economic growth across the entire City Region. The regeneration of Halifax town centre will support existing businesses to grow, encourage inward investment and create employment opportunities. “The next phase of the regeneration of Halifax town centre will build on the success story we have already seen with the new library development, the restoration of The Piece Hall and the extension of Square Chapel. Next to Northgate House, in the former Central Library building, a brand new sixth form centre is being jointly developed by Calderdale Council, Trinity Multi-Academy Trust and Rastrick High School. The high-quality facility will give Calderdale’s young people more options for their post-16 education, helping them reach their potential and to retain talent in the borough. Bringing a sixth form centre to the heart of Halifax town centre will also give students access to the growing retail, food and leisure offer in the town. It is expected to open to students from January 2020. The Northgate transformation is part of the Next Chapter to enable economic growth, reduce inequalities and build a sustainable future. For more information about this and other exciting developments in Calderdale, visit www.calderdalenextchapter.co.uk(external link) and follow #CdaleNextChapter on Twitter. This entry was posted in Business, Economy, Education and learning, Regeneration, Vision2024. Bookmark the permalink.